One of my goals this year is to make my Christmas cards early. I always seem to be in a rush at the end of the year trying to get all my Christmas cards done. So for this week's sketch from Tuesday Morning Sketches I chose to turn it into a Christmas card. I just love the snowmen from Magnolia Stamps. This one is called Edwin's Snowman. Cute snowman card Mary! Such a sweet image! I struggle every year getting my cards out on time also. 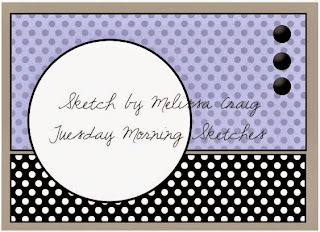 Thanks so much for playing along with us this week at Tuesday Morning Sketches! Hope you come back and play again soon! Thanks Mary for sharing your beautiful snowman creation with us at Simply Magnolia, good luck and Happy New Year! Mary, I really like you card. I like the colors and the double matting. Your snowman is so cute. 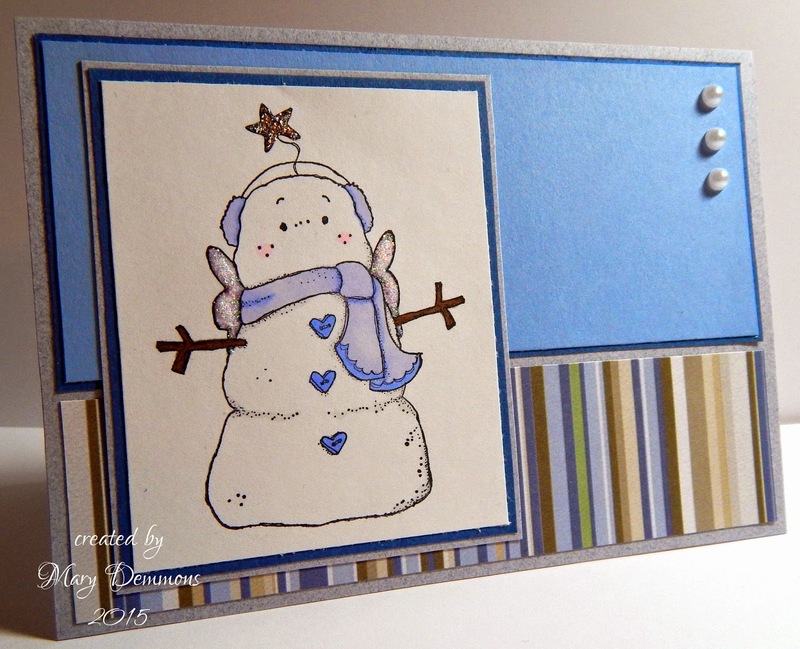 Gorgeous snowman card. Thanks for joining us this week at Eureka for our Snowman or Snowflakes Challenge. This is very cute! I love the clean look of everything! Fabulous card, your snowman is so cute. Thank you for joining us for Tuesday Morning Sketches. Love it! A really sweet card. I love the clean lines of your card, Mary! Your snowman is adorable! Thank you for sharing this with us at the Anything Goes Challenge on the Magnolia-licious Challenge Blog! Super cute card! Love the image!! Thank you for joining us at Party Time Tuesdays and good luck! Thanks for playing along with us at TPS and hoop to see you again. Such a cute snowman !! Thanks for joining us at TFMC ! !